Pfizer has joined Walmart in announcing they will withdraw campaign donations to Sen. Cindy Hyde-Smith, who is currently running in Mississippi's special Senate race, over her remarks about attending a public hanging, ABC News reports. Companies including AT&T, Leidos and Boston Scientific, have requested their donations be refunded. The backdrop: At a campaign event this month, Hyde-Smith told a supporter that if he invited her to a public hanging, she would be "on the front row." 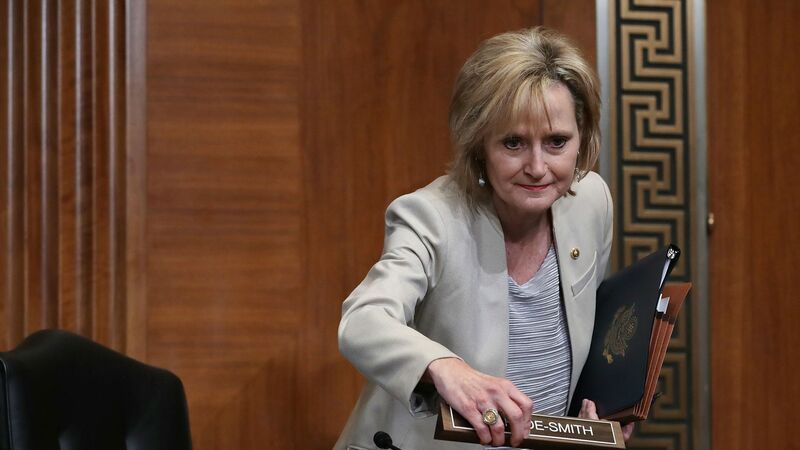 Following public backlash, Hyde-Smith in a statement that it was "an exaggerated expression of regard, and any attempt to turn this into a negative connotation is ridiculous," Roll Call reports. Editor's note: This story has been updated to include the latest company withdrawals.